As marijuana grows in popularity, you can expect to see cannabis-infused products spread its reach across all industries. From clothing, to dinner parties, to beauty items — marijuana is a far-reaching consumer product that’s bound to make its way into your home. One of the quicker growing bud-inspired businesses is the beauty and personal care industry, which makes sense given marijuana’s many healing properties. 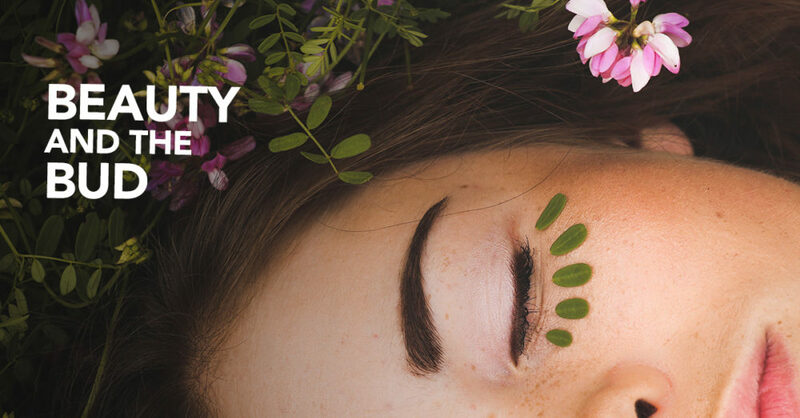 Given these healing effects, it’s not a surprise that the beauty industry is busy formulating, packing, and shipping out bud-beauty as fast as they can to meet increased consumer demand. Below are a few popular marijuana-infused beauty products. Cannabis Infused Body Lotion from Mary Jane’s Medicinals is a topical treatment to heal and nourish skin. The marijuana ingredient promotes circulation in skin while taking away aches and pains. The oils and vitamins work to moisturize and aid in skin radiance. These ingredients come together to create an ultra-hydrating and healing topical product. Whip It THC Nourishing Whipped Body Butter by Gemstonz is a thicker alternative to cannabis body lotion. Featuring natural oils, butter, and cannabis, this whipped body butter melts onto the skin to repair dry, ashy, and wrinkled skin while also providing mild pain relief. If you’re looking for a natural alternative to chemically-laden store-shelf deodorants, then turn your sights to CBD Hemp Deodorant from Sacred Biology. Made with a blend of mineral clays, vegetable powders, and hemp CBD, this natural product absorbs moisture and inhibits bacteria growth to promote long-lasting odor protection. Cannabis lip balms in a variety of doses keep lips healthy and hydrated. Unlike traditional over-the-counter lip balms, marijuana balms go beyond the pale by acting as a healing agent for typical problems like blisters, split lips, and sores. Choose from a variety of flavors like mango, peppermint, and more. Give it up to Body Shop as they’ve been supplying hemp beauty and personal care products long before it was ever legal or cool. Their soap on a rope cleanses, moisturizes, and keeps clean thanks to the durable rope. Looking for a glow? Then look to Jeffrey James Botanicals. Made from jojoba, sea buckthorn, and hemp seed oil, this small jar produces big glow. It even goes skin deep to hydrate, tighten, and brighten, too! Keep your skin refreshed and oil free with Roll + Blot from Milk Makeup. These sheets are made from unbleached hemp fibers to absorb oil and dirt. It leaves your makeup undisturbed while it reduces shine. Oh did we mention it’s vegan and cruelty-free, too!? The beauty-bud boom is growing at an exponential rate. Consumers are demanding it and businesses are providing. Cannabis has a multitude of healing powers and as the general public catches on to its magic, you can expect to see more and more of it at a dispensary (and beauty store) near you.